Hello everyone! I think just might be one of my favorite cards I have ever created. I just love the way the paper works together, and how cute is that image?!? This card was definitely a labor of love, and the payoff was huge. It was so fun to watch it come together! I can't wait to send it to a very special friend who could use a little cheering up. Today, I would like to share another card I made recently. This one was for my sweet friend, Crystal (Crafting with Crystal) who I love dearly. There are so many things I love about Crystal, but when I think about her, one of the things that sticks is how much she LOVES to read. This image was just perfect to use for her birthday card! 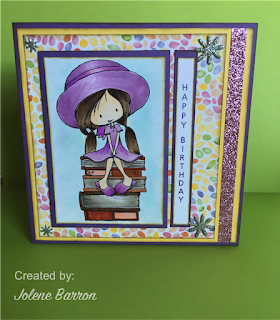 I used the Kaleidoscope paper packet from CTMH, and a digital stamp image from Tiddly Inks called School Girl. The image was colored with Copic Markers. I added some clear Wink of Stella shimmer to the band on her hat, and the ribbons behind the hat. Finally, I embellished the card with pink shimmer trim, and four silver puffy flowers. The final card dimensions are 6" x 6". 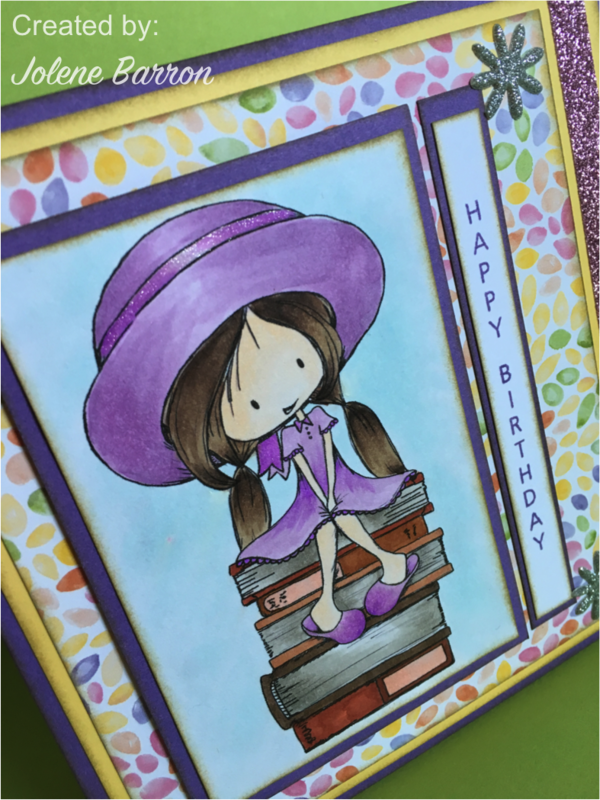 Blogging again - Card for Nancy! I feel like a broken record. Life has gotten away from me quite a bit over the last few years, and I become woefully neglectful of my poor blog *again*. Thankfully, I am FINALLY finished my dissertation, so there are no more papers to write or studying to do. My job has settled down A LOT, leaving me with more time for fun stuff. Things have gotten to the point where I have been able to spend a lot more time crafting, which has me super excited! I have taken quite a few photos of my art recently, and am excited to start posting regularly again. Having said all of that, I have a cute card I want to share with you today. 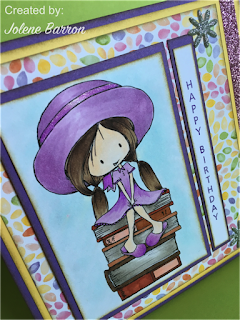 My dear friend Nancy (Creatively Artsy Card Gallery) had a birthday back in March. I managed to make her this card, but for some reason I didn't mail it. I guess I kept wishing and hoping I would see her to give it to her in person! Well...that wish finally came true, and we were able to hang out all day on Saturday. This is the card I made for her special day. Well...it's time for another blog hop. As always, I'm excited to see what this group of talented consultants have created for you this month. The hop is a circle, so it doesn't matter if you are coming from Stephanie's Blog or if you start here on my blog. Just continue around until you get back to the blog you started on to make sure you see all of the wonderful artwork! This month, I'd like to share this adorable crayon box we made at my last club meeting. 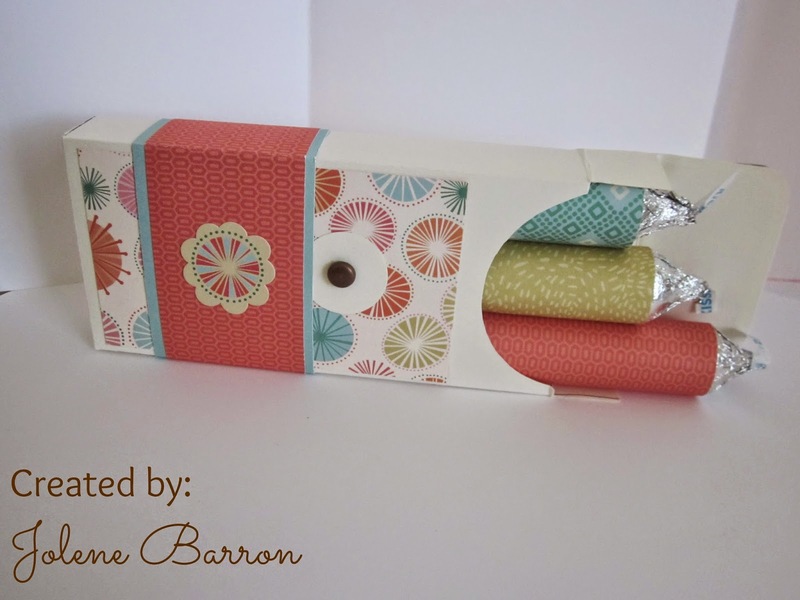 The crayons inside are made by covering packs of Rolo candies with patterned paper, and adding a Hershey Kiss to the top. It was a super-easy project and it makes a great gift for anyone! To continue along the hop, please head on over to Betty's Blog to see what she has created for us this month. Thanks for hopping along with us. For a full list of all participating bloggers, please click here. Be sure to come back next month for more inspiration and to see more fabulous CTMH products! Well...it's time for another blog hop. As always, I'm excited to see what this group of talented consultants have created for you this month. The hop is a circle, so it doesn't matter if you are coming from Betty's blog or if you start here on my blog. Just continue around until you get back to the blog you started on to make sure you see all of the wonderful artwork! I've had a few My Creations Pennant Frames hanging around my scrap room for a while now, but never got around to making one. I think it was mainly because I wasn't sure how or where I would use one. When CTMH came out with the Chalk It Up paper pack, I had visions of all kinds of things I could use it for in my third grade classroom. I decided to combine the two items and make something to hang in the window to my classroom for people to see as they enter from the hallway. The complements on the inside are popped with foam tape. I also used black glitter paper instead of shimmer trim. When I went to use the black shimmer trim, my roll was empty. If you'd click a closer look, just click on each photo! To continue along the hop, please head on over to my sweet friend Stephanie's Blog to see what she has created for us this month. Thanks for hopping along with us. For a full list of all participating bloggers, please click here. Be sure to come back next month for more inspiration and to see more fabulous CTMH products! Well...it's that time again! Time for another blog hop. As always, I'm excited to see what this group of talented consultants have created for you again this month. The hop is a circle, so it doesn't matter if you are coming from Betty's Blog or if you start here on my blog. Just continue around until you get back to the blog you started on to make sure you see all of the wonderful artwork! This one is made of three different sized rosette flowers. I used a chipboard circle as the base, and lots of hot glue to hold it all together! Next please head on over to Andrea's Blog to see what she has created for us this month. Thanks for hopping along with us. For a full list of all participating bloggers, please click here. Be sure to come back next month for more inspiration and to see more fabulous CTMH products! It's hard to believe that it's already time for another blog hop! I can hardly wait to see what all of the talented consultants participating in this hop have created for you this month. This blog hop will be especially exciting because it will contain all NEW PRODUCT from the Annual Inspirations catalog that went live on August 1st. The hop is a circle, so it doesn't matter if you are coming from my friend Stephanie's Blog or if you start here on my blog. Just continue around until you get back to the blog you started on to make sure you see all of the wonderful artwork! This month, I would like to share with you a 5"x7" card that I made featuring a removable ornament. I started with the stamp called Classy Doily. I stamped the image eight times on the corresponding cuts from the Cricut Artiste cartridge. 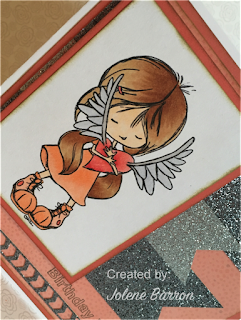 Next, I used our brand new ShinHan Touch Twin alcohol markers to color the images. Then, I cut the images and adhered them together using foam tape. The ornament has several layers, which creates a great deal of dimension. I repeated this process for the back side so that the ornament can be viewed from any angle. Finally, I cut the scalloped circle from the center of the card so that the ornament can be seen on both the outside and the inside of the card. The ornament is attached to the card using metallic bakers twine and two pewter brads. I used the Snowhaven paper pack to create this card. 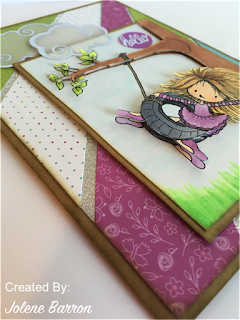 Next please head on over to Andrea's blog to see what she has created for us this month. Thanks for hopping along with us. For a full list of all participating bloggers, please click here. Be sure to come back next month for more inspiration and to see more fabulous new CTMH products! A few weeks ago, I attended Copic Certification classes in Philadelphia with my CTMH BFF, Crystal. We spent two jam-packed days learning how to use and blend with Copic Markers, along with many other fun techniques. We have both had Copics for years, but never really learned how to use them properly. I'm so glad we took the time to attend these classes. Cindy Lawrence was our instructor, and we learned so much from her! Ever since that weekend, I've been so busy that I really haven't had much of a chance to play with my new skills. Well...that chance finally came today! Today I want to share a graduation card for a party I'm attending tomorrow. I used this adorable hedgehog stamp from Penny Black called "A Scholar." All of the products are Close to my Heart with the exception of the stamp and the circle Nestabilities dies. The paper is all from a pack called Dream Pop, but I'm sad to say it is no longer available. (I'm desperately trying to use up some of my stash before buying more paper!) 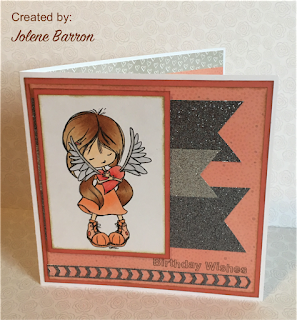 I used Bronze Shimmer trim and Brown Glitter Paper to add some bling on the right side of the card. The flower is from the Chantilly Assortment set. I just love the paper I added to the inside of the card as well. It's light enough that I can write a message, but added just the right amount of fun. As always, you can click on any image for a closer look! I used MANY Copics to color this image. The B colors were used for the sky. I used the E colors on the hedgehog. The G colors were used for the grass, and the W colors were used on the graduation hat. The red and yellow were accents colors for the star and the ribbon. I decided to use this week's Mojo Monday sketch as the layout for this card. It is such a fun layout and I loved playing along with the challenge! 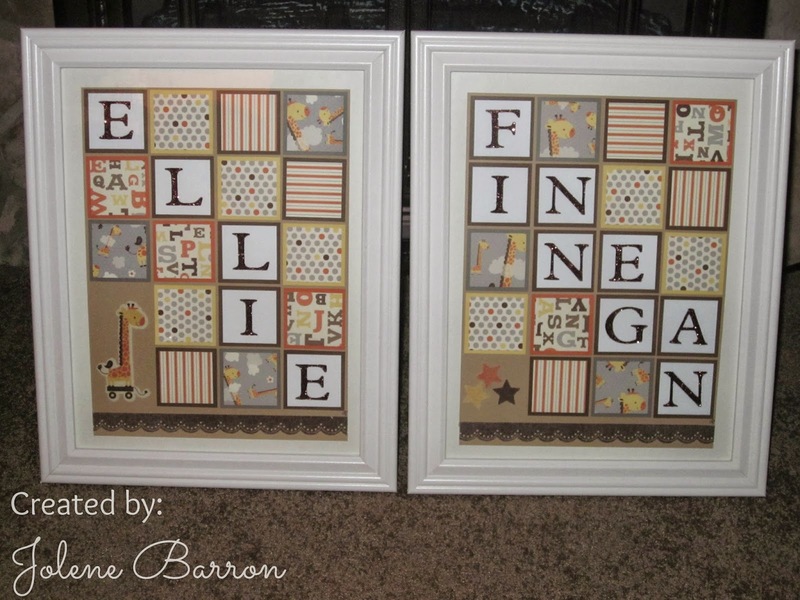 A few years ago, I started making these baby name frames as gifts for my co-workers whenever they had a new addition join their families. As more people in my work family received these gifts over the years, others started asking questions about how to get me to make more. I still make them for gifts at work, but I also make them for other people to give as gifts too. They are a huge hit, and are relatively easy to make! This one was made for my niece to give as a gift to twins that were born on her husband's side of the family. They feature the Babycakes paper pack and matching canvas complements. (Aren't they adorable?!?) Click on the image for a closer look! Each square piece is matted to 2" and the inside piece is 1 3/4" square. The letters are cut on my Cricut and then I cover the letter with Bonding Memories Glue and Martha Stewart Glitter. The frame is 11" x 14"and the artwork measures 8 1/2" x 11". It needs to be placed outside of the matted area in order to fit. Sometimes I place elements on the outside of the frame for a little bit of added dimension. 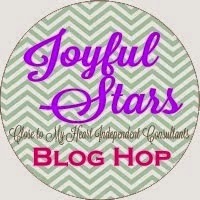 Welcome to the Joyful Stars Blog Hop! I am very excited to be participating in this blog hop for the first time this month with some very talented CTMH consultants. The hop is a circle, so it doesn't matter if you are coming from my dear friend Crystal's blog or if you start here on my blog. Just continue around until you get back to the blog you started on to make sure you see all of the wonderful artwork! 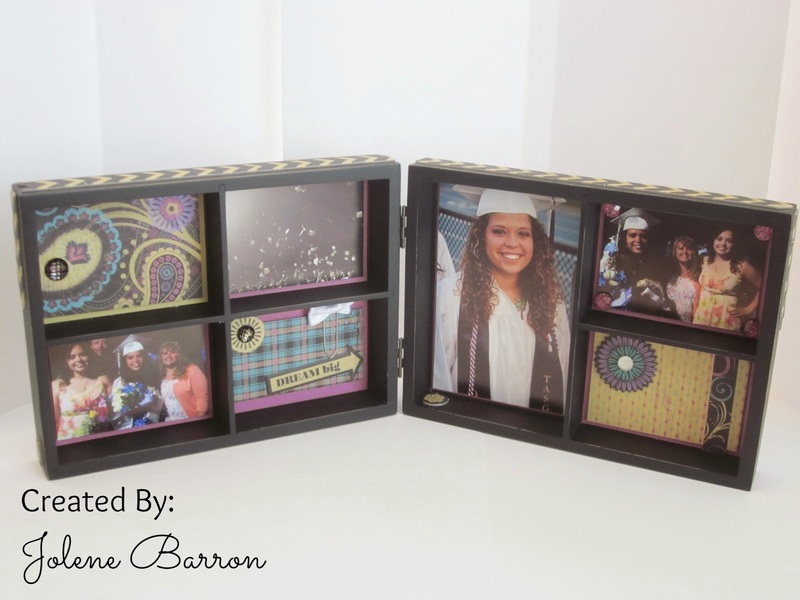 This month I would like to feature a 5x7 hinged display tray. My best friend's oldest daughter graduated from high school last month, and I wanted to make something that she could take with her to college in the fall. The hinged display tray was a perfect choice! 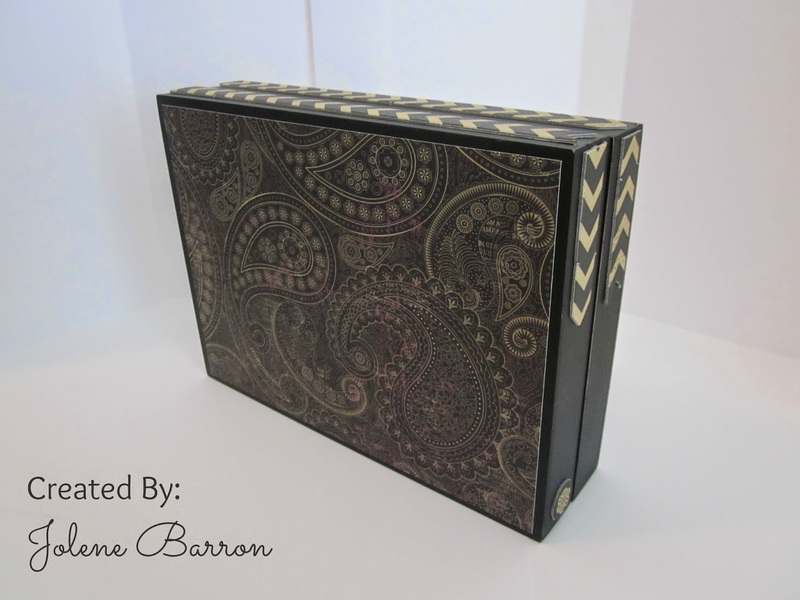 I started by covering the front and back of the box with the black paisley paper from the Laughing Lola paper pack. I added the complement border pieces to the top of the tray, and then put the pieces I trimmed off on each side. For the inside, I decorated each box individually. The smaller photos are wallet size prints trimmed to fit, and the larger photo is a trimmed down 4x6. It's hard to tell in the picture, but I used lots of foam tape to add dimension to the project. If you want to make one of your own, hurry and order your supplies from the list below! Everything is retiring except for the display tray. Next, please head on over to Betty's blog to see what she's created for us this month! Thanks for hopping along with us. For a full list of all participating bloggers, please click here. Be sure to come back in August for more inspiration and to see some fabulous new CTMH products! One of the things I enjoy most is finding creative ways to give a gift card. It's much more fun when a card has an interactive element, instead of just putting the gift card inside of the card. I found this cute pop-up gift card idea online, and when I saw it I decided to make one for my niece's bridal shower gift. The box holding the gift card lies flat when the card is closed, but pops up with the gift card when the card is opened. How much fun is that?!? The paper and stickers I used are from the CTMH pack called For Always. The image is from Fred She Said Designs, and it's called Wistful Emma. Yeah, I know...it's been WAY TOO LONG since I've posted anything here. Let's just say life got in the way. Although things are still crazy, and there is still much going on, I really have missed sharing my artwork with you all, so I'm going to make another attempt to re-enter the blogging world. So...I've been making cards for years now, and I have never made one for my husband. (I know...I know...bad wife, but I honestly never thought he would want one! Whenever I would show him a card I make, he'd say "that's nice" and that was the end of the discussion.) Needless to say, as I started making more cards recently, he has been giving me a bit of a teasing about how nice it must be to receive one of my cards, and how you must be someone pretty special to get one of my cards. I got the hint and set out to make him a super-special card! This one is for him! I used the Penny Black hedgehog stamp set again, and colored him with my Copic markers. The paper is another one of my favorites from CTMH. It is the retired pack called Splendor. I added a bit of bling with some silver glitter paper, and finished the card off with hand-stitching in matching embroidery floss. The corners are adorned with some CTMH adhesive studs in antiqued brass. I am blessed to have some pretty awesome co-workers! One in particular has been invaluable this year to myself and my niece, who also teaches third grade with me. We decided that we wanted to do something special for him to thank him for all he's done this year to help us, and to keep us all on track. This is my first year teaching third grade in a while, and I came into a classroom with no files left behind. I know that if I didn't have him helping us, I would have been lost for the first half of the year! This card was made just for him, and was presented to him with a small token of our appreciation for all he does. 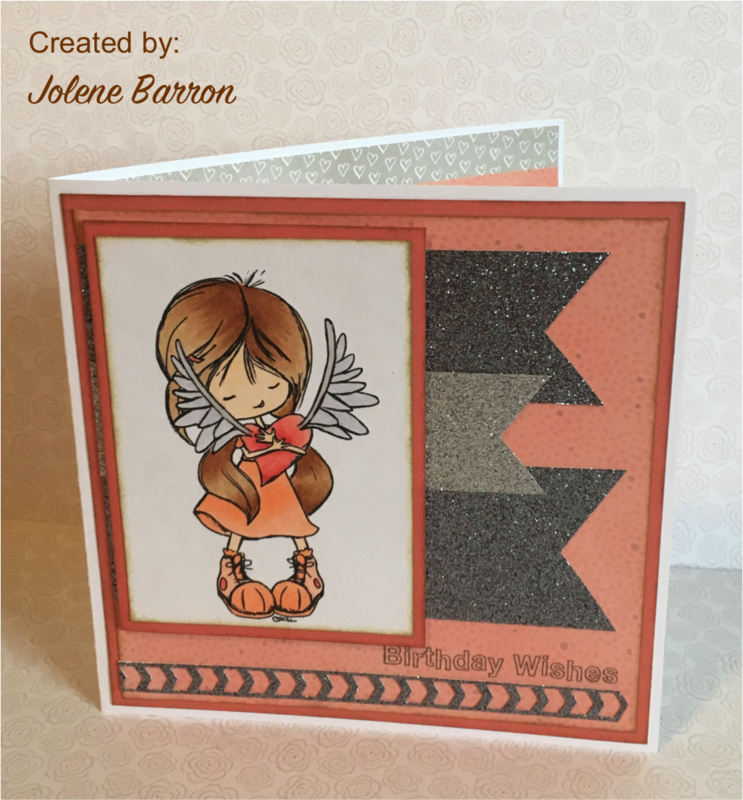 It was created using the Dakota paper pack from CMTH. The image is a pre-colored image from Fred She Said Designs, called "Nolan with a sign." 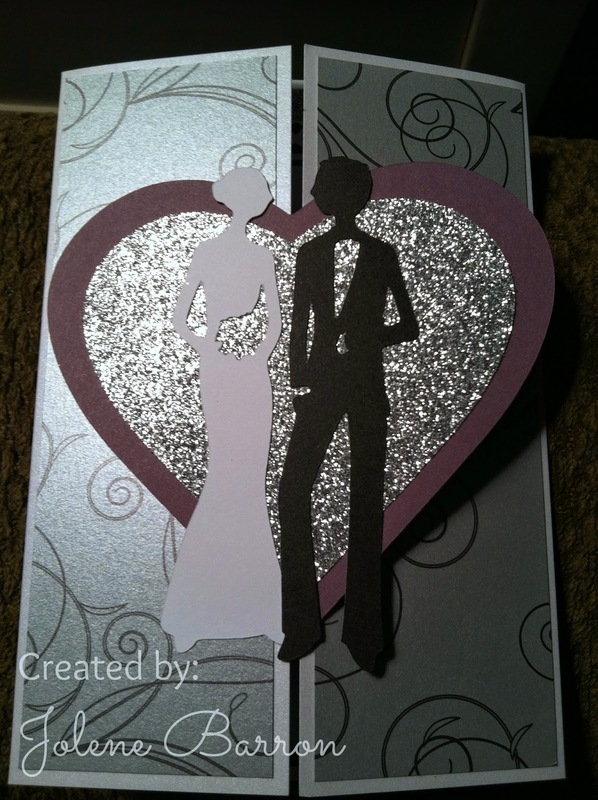 The card is embellished with black sparkles in each corner, and silver glitter paper to add a little something extra. There is a hand-stitched design in black embroidery floss around the edge of the card. Enjoy! Although I have been working on a few projects lately, unfortunately, they are things I haven't been able to post for various reasons! Some are super-top secret and can't be revealed just yet. I promise as soon as I can, you will see them sooner or later. Today, I would like to share a card that I made for a very dear friend of mine. 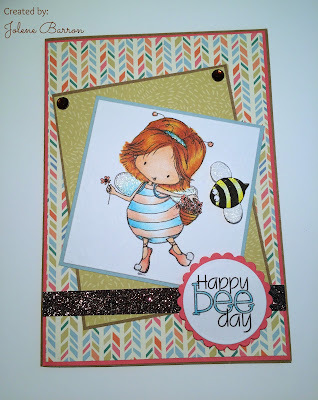 This card was created using the Sweet Stop Sketch #203 for the Sweet 'n Sassy Stamps Sketch Challenge Blog. Please click on any of the images for a closer look! 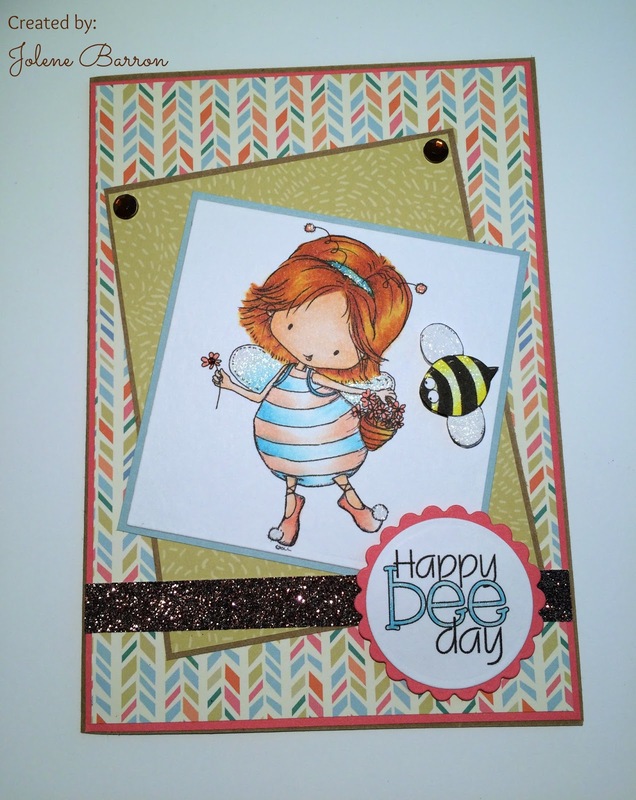 This card was created using some retired CTMH paper, called Mayberry. This is one of my all-time favorite paper packs, and I am so glad that I still have a bunch. The hedgehog is from a Penny Black Acrylic Stamp set called Wonderful Day. This image was colored using my Copic Markers. 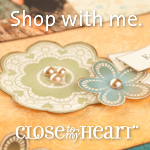 The embellishments are all CTMH, and the card is hand-stitched using matching embroidery floss. It's hard to tell on the photo, but there is lots of dimension, and the bee's wings are glittery. Here is a close-up of the stitching. And...here is a peek at the inside of the card. Once again, I have decided to try something new! For years, my dear friend Nancy Brown, has participated in sketch challenges. For those of you who don't know about these challenges, there are tons of people and companies who publish sketches of card designs for people to attempt to recreate using their own paper, stamps, etc. 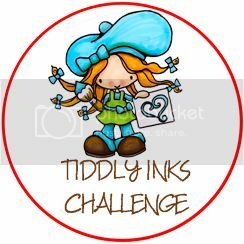 The challenges are usually posted weekly, and participants then post their cards on the hosting blog. Often, there are prizes awarded. I have decided to try to start completing some challenges of my own! Ideally, I would love to do one a week, but we'll just have to wait to see how that goes. The design of this card was inspired by sketch #199 for the Sweet n' Sassy Stamps Sketch Challenge Blog. I have always enjoyed looking at these sketches, and it helps that Korin used to be a sideline of mine with CTMH. I love her work, and I'm excited to participate in this challenge. I used several different products on this card, which was for my best friend's surprise 40th birthday tonight. The paper is all from the CTMH Paper Pack, Clementine. I've really enjoyed using this paper pack over the past few months, and it is still available if any of you are interested in getting some of your own. The image is a pre-colored digital stamp called Emma and the Cake from Fred She Said Designs. I cut out the cake and popped it up so it looks like it is coming off the card. 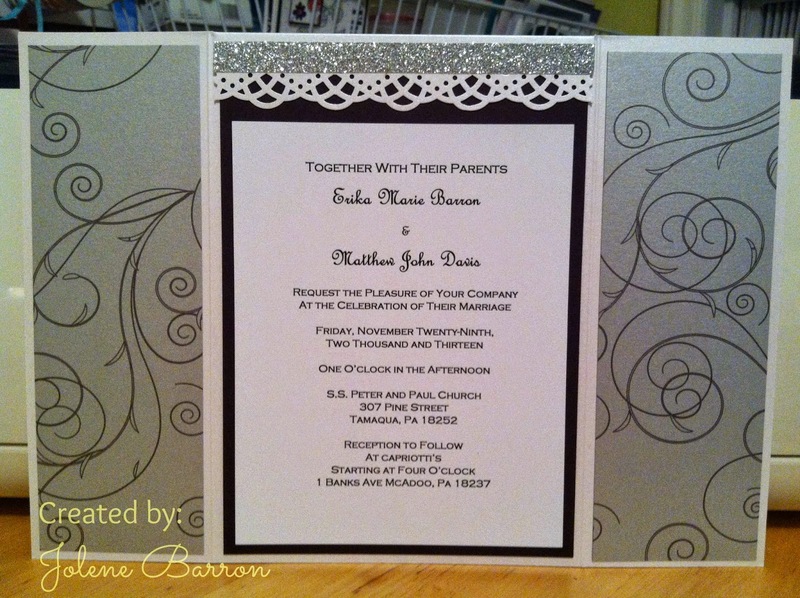 I added a bit of bling using mocha opaques, clear sparkle swirls, and a button stack that matches the Clementine paper. There is hand-stitching around the edge of the card using matching embroidery floss. 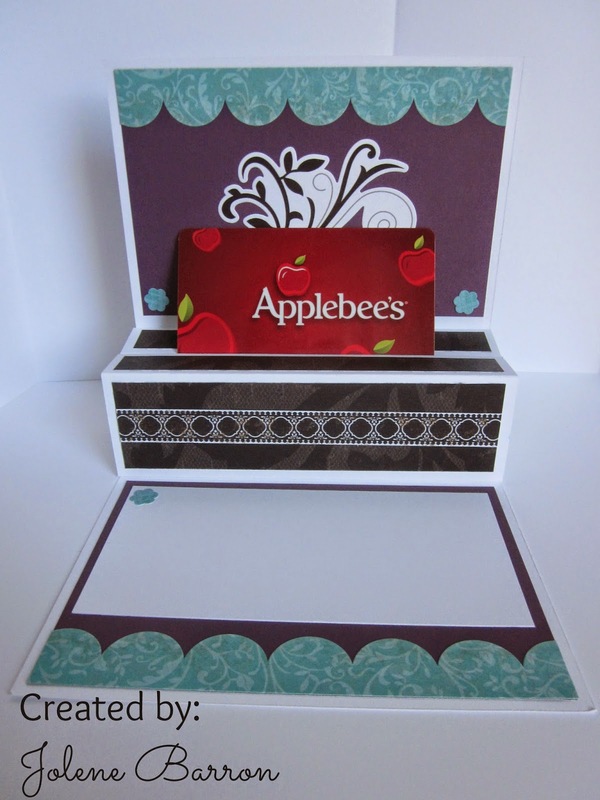 Today, I wanted to share with you the gift card box we made at our February club meeting this month. I'm always looking for new ways go give a gift card, since it can be boring to just put it one a card. 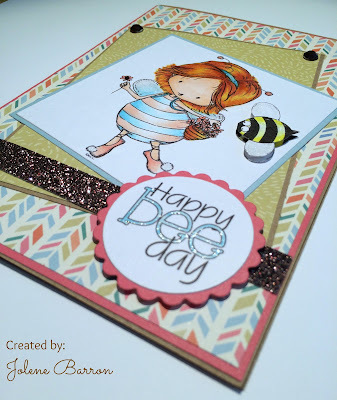 I think this cute little project definitely fits the bill! The box itself is made from two rectangular pieces that are scored and overlap in the middle. The card holder is also a rectangular piece that is scored and glued to the base of the box. 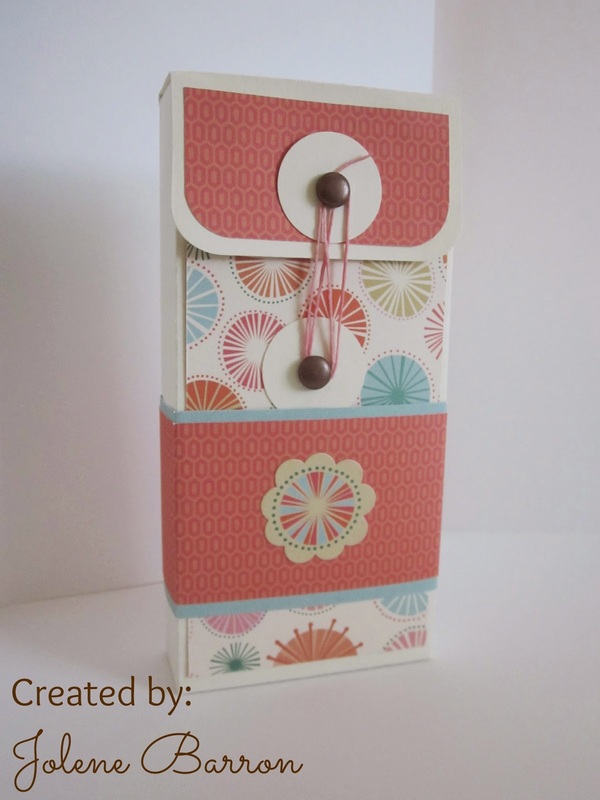 I used the CTMH paper pack called "Clementine," along with some matching embellishments. (I just love those adorable flowers!) If you look closely at the top of the box, you may notice that I used some of our new brown glitter paper to give the box a bit of bling. 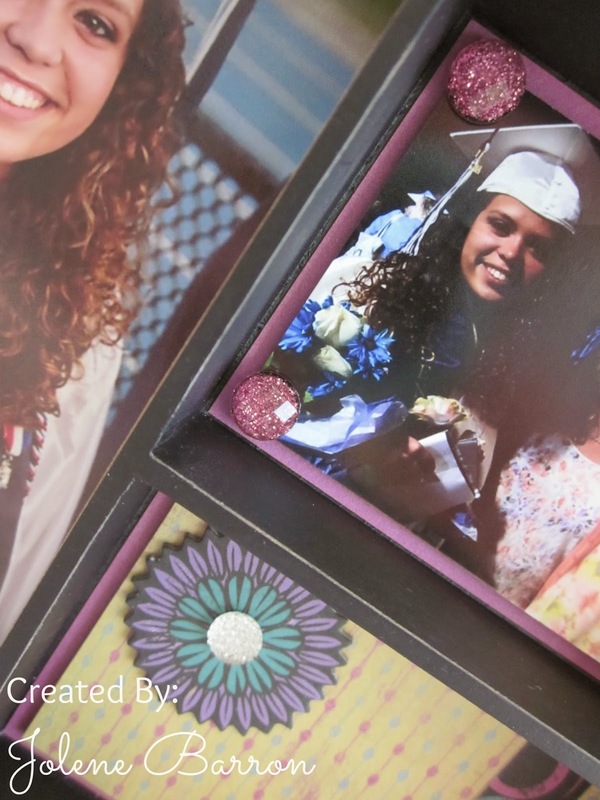 This is a quick and easy project that is sure to be a big hit with the lucky recipient! I made this card a while back, but it's still one of my all-time favorites. As soon as I saw the music stamps, I knew I had to make a card with them. You see, I have been a trumpet player since I was in fifth grade (which means I've been doing it for almost 30 years...yikes!) and I fell in love with that stamp! I just love the combination of the silhouette image, with the music notes and swirls in the bottom of the image. I can't remember the exact measurements, but I started with a large square. (I think it was around 8 or 9 inches.) Then I scored triangles in each of the four corners to make the flaps. 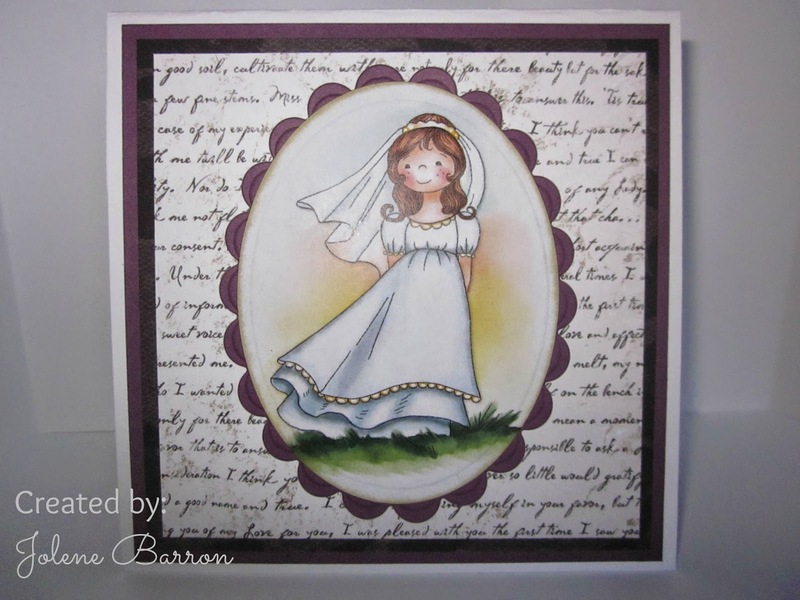 This card features the Avonlea paper pack and two stamp sets with slate ink. 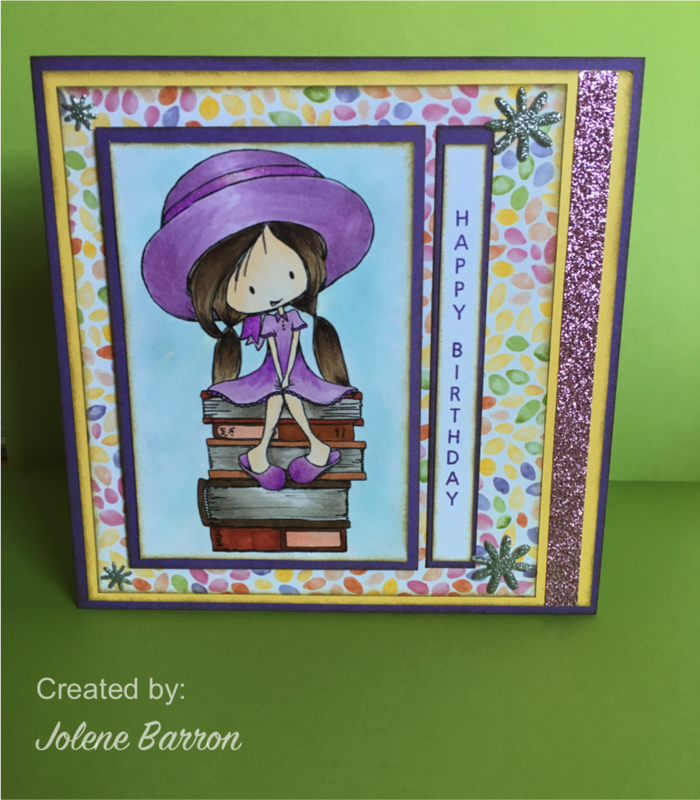 The corners were stamped with the August Stamp of the Month, Baroque Borders. The trumpet player and the inside were both stamped with the Sweet Music Stamp Set. I embellished the card with sparkles (clear, black, and black flourishes), a slate button, and baker's twine. Enjoy! Pin It! - Use this button to pin any image on this blog on Pinterest! I love my life! I have an amazing husband, Steve, and we have been married since May of 2003. We have a wonderful life together. He is my life and my best friend. I am one of the lucky people in the world who gets to do something they LOVE for a living. I have two 'jobs'...I am an elementary teacher and I am an Independent Consultant for Close to my Heart. I am an avid sports fan. I especially love football and basketball. In my spare time, I love to read novels, knit, and paper craft. I completed my EdD at Wilkes University in March 2015. Between work and classes I don't have as much time to craft as I would like, but I try to squeeze in as much creative time as my schedule allows.